You can edit your Account Settings to include a default time zone for your account, as well as business days and hours. Setting a time zone, business days, and hours on your account will automatically populate this information when you set up a phishing campaign. On a training campaign, your default time zone will also automatically populate. Log in to your KnowBe4 console. Click on your email address at the top-right of the screen. The screen that follows will have several settings which you can change. Beneath the Company Information header, you can set your organization's specific time zone, business days, and hours. Once you've set your settings, be sure to click Update Account Info at the bottom of the page to save your changes. 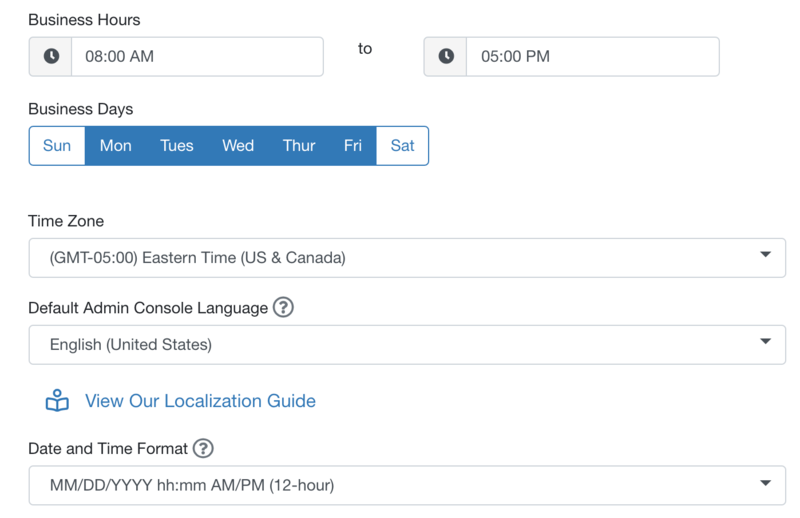 For more information on how to manage time zones in the console, visit our Time Zones article.